Above the waves there was nothing but sea to be seen, but below the surface we caught a glimpse of a fascinating sight. 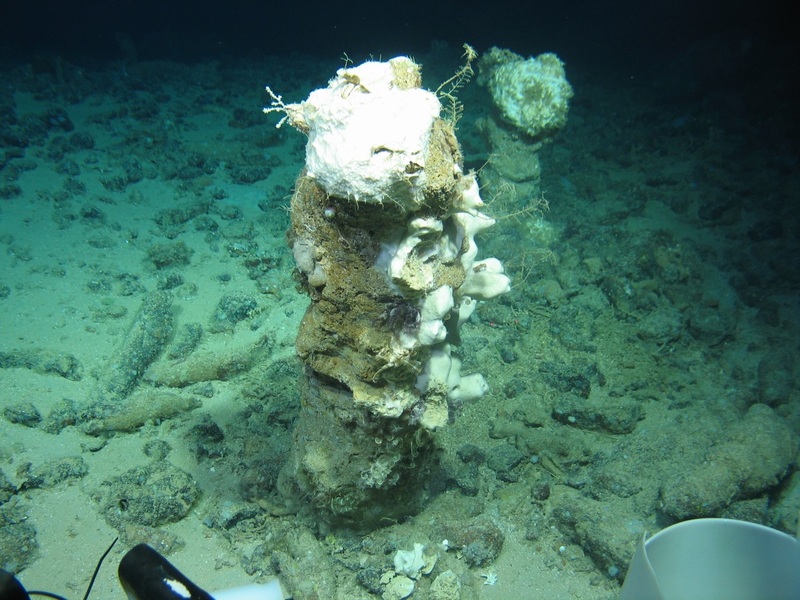 A vast field of toppled carbonate chimneys loomed in front of us as the camera on our remotely operated vehicle (ROV) roamed over a deep-sea mud volcano in the depths of the Gulf of Cadiz, Spain. We promptly named the site “Chimney-Henge” after England’s Stonehenge for the circular arrangement of the chimneys. Also like Stonehenge, it was an exciting hint at the past activity of this site. Deep-sea chimneys are formed when a number of gases from deep inside the earth seep up and interact with bacteria and seawater above the sea floor. Small sea creatures begin to eat the microorganisms that thrive at these sites. These go on to be eaten by bigger sea creatures, and so on up the food chain. 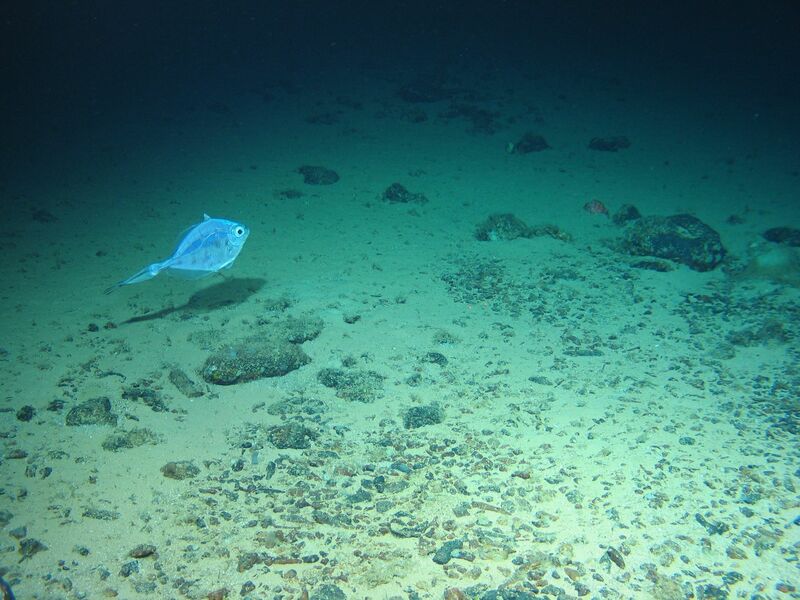 In darkness at thousands of metres depth – where the sunlight’s life-giving energy cannot reach – sites like this can support an abundance of life. 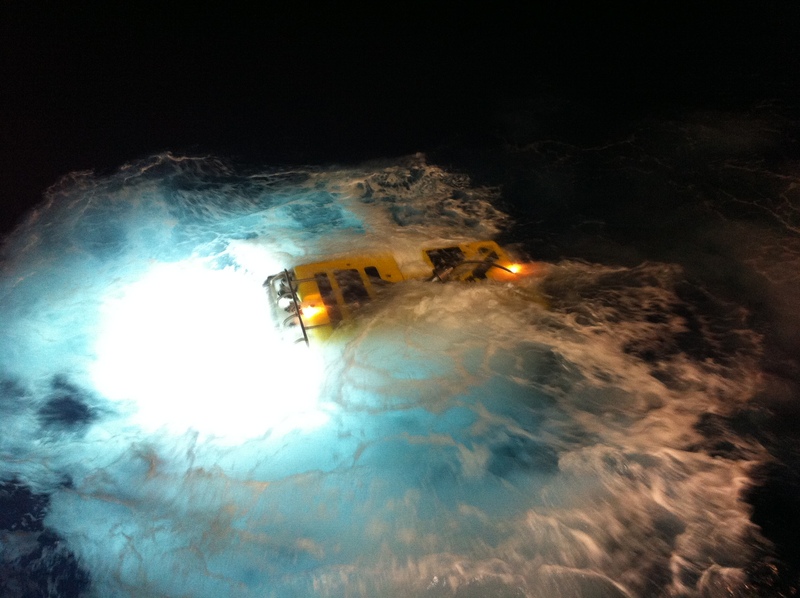 We had already spent almost 14 days at sea, led by UCD’s Dr Jens Carlsson as part of the Deep-Links survey. Steaming down from Galway onboard the R.V Celtic Explorer in stormy November weather. The survey’s purpose was to find connections between the energy that arises at these deep sites, and this energy’s dispersal and dissemination in the wider ecosystem. 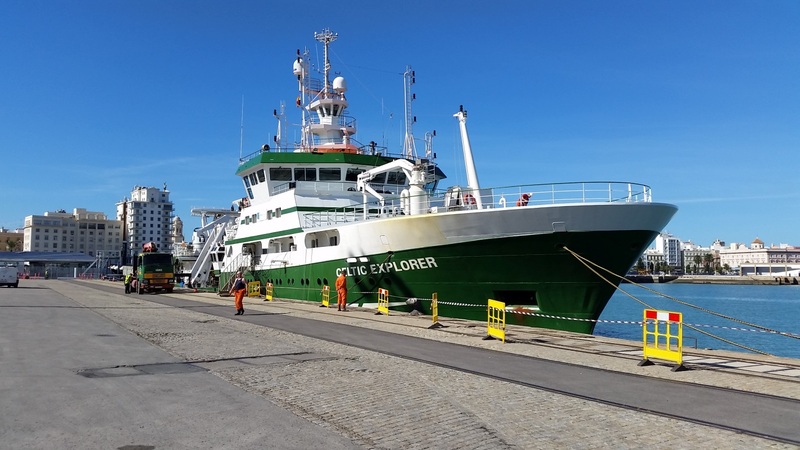 Onboard the Irish Marine Institute’s research vessel were scientists from UCD, NUIG, GMIT, Duke University and the GSI. All with a common interest in studying our oceans and shedding light on what’s happening in the deep. 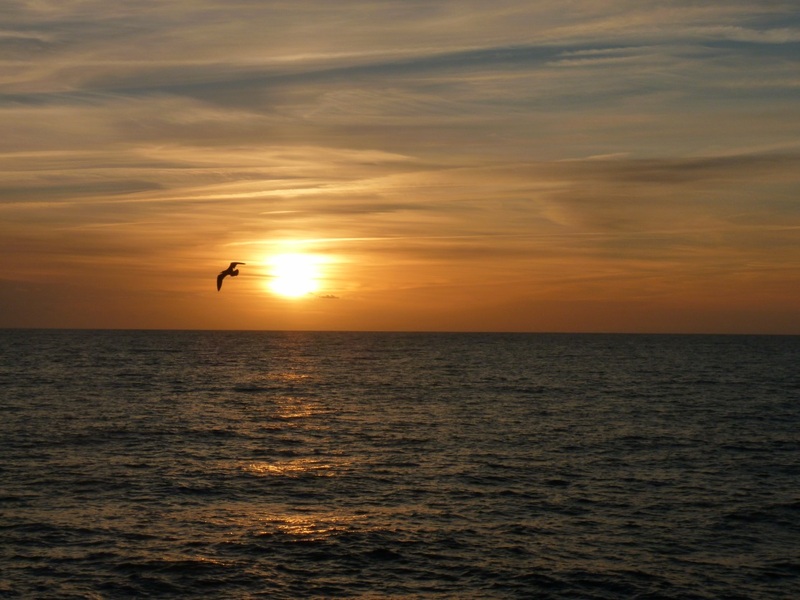 The Earth’s oceans cover 70% of the planet. With only about 5% mapped there’s a lot more exploring to be done. Research at sea is a difficult process. Nothing (including you) stays stationary for long and the vessel is awake and working 24/7, but for a marine biologist like myself, glimpses such as this and the abundance of weird and wonderful marine life make it all worthwhile. As well as Chimney-Henge, we were afforded sights of many kinds of deep-sea fish, corals, sponges, echinoderms, polychaetes, crustaceans, molluscs and more. The deep-sea adaptations displayed by some of the creatures we encountered (e.g. bioluminescence) made for very interesting viewing, and each day watching the live-feed from our submersible ROV camera gave us a unique and fascinating window into what is happening below the surface of our seas. Back on land the work will continue in the lab with the samples taken from the trip as we begin to piece together where the energy might be going, and how these ecosystems may work.